Eyebrow shaping – we use a combination of waxing, tweezing, combing and tinting to achieve the perfect eyebrow shape – perfection! 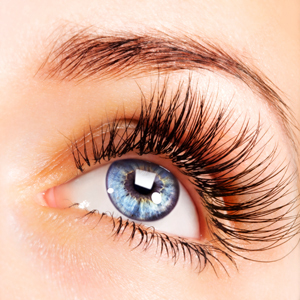 Go mascara free with eyelash tinting – lasts up to 6 weeks – bliss! Gives high definition and a wide awake look – younger looking eyes! Individual lashes are attached to your own lashes, giving longer, thicker very natural lashes. Lashes come in different lengths – ideal for that special occasion – very soft and glamorous. Please remove contact lenses before eyelash tinting, perm/lift, and Nouveau Lash Extensions. Patch test necessary for new clients for these treatments. Gift Vouchers a wonderful treat or present for someone special.